The Massage Ball’s primary focus is to relieve the muscle of existing minor aches and pains by applying pressure to the muscle. Apply pressure with the ball by using the floor, wall or any hard surface to stabilize movement of the ball. Understand, in order to get deep into the muscle the ball has to remain still with an ample amount pressure for 5 to 7 seconds. This is when the ball will change shape. Once relieved, roll the TP Massage Ball side to side or in circles for a cross friction type massage. The TP Massage Ball is great for the neck, shoulders, back, chest, piriformis, calves, or anywhere that you have minor aches and pains. The Massage Ball’s primary focus is to relieve the muscle of existing minor aches and pains by applying pressure to the muscle. Apply pressure with the ball by using the floor, wall or any hard surface to stabilize movement of the ball. Understand, in order to get deep into the muscle the ball has to remain still with an ample amount pressure for 5 to 7 seconds. This is when the ball will change shape. Once relieved, roll the TP Massage Ball side to side or in circles for a cross friction type massage. 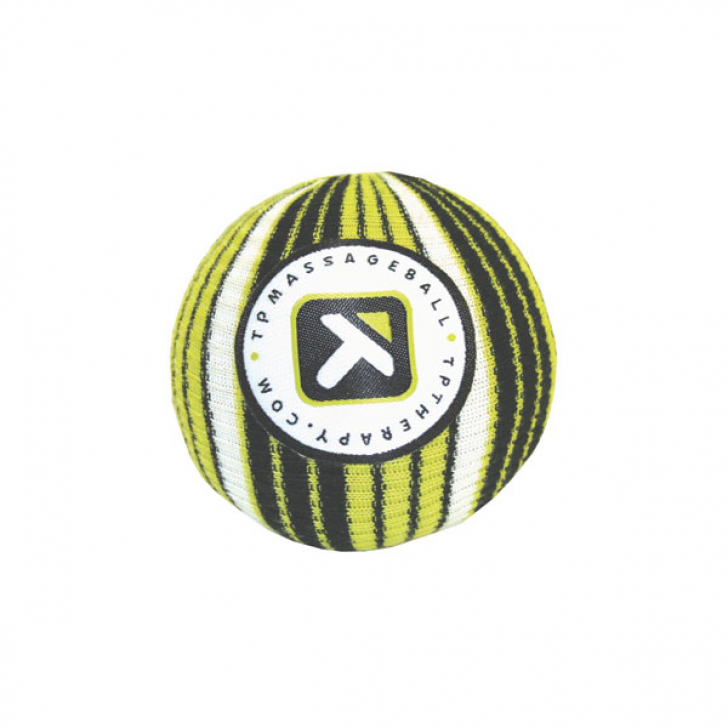 The TP Massage Ball is great for the neck, shoulders, back, chest, piriformis, calves, or anywhere that you have minor aches and pains.